The U23's defender will make his first loan move out of the club to the League Two side for the rest of the season. Brighton U23's full-back, George Cox has been loaned out to League Two side Northampton town for the remainder of this season. 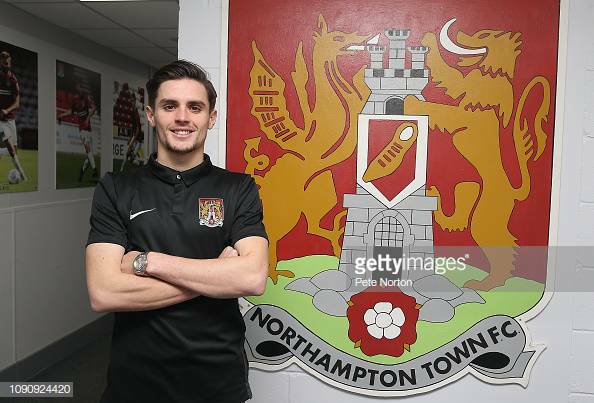 The 20-year-old, signed a one-year contract extension just a month ago and will now get his chance to help Northampton climb the League Two table. Cox has played every league match during Albion’s promotion-winning season to the Premier League 2 Division 1, and has since helped the under-23s to third position in the top flight. Brighton U23's manager, Simon Rusk had the following to say on Cox's loan move to say to Seagulls.co.uk: “George has worked extremely hard to get to where he is and thoroughly deserves this opportunity to gain experience at senior level. “He’s played a number of games in the Checkatrade Trophy against EFL opposition, and that experience should stand him in good stead to play against League Two clubs on a regular basis. Northampton manager, Keith Curle had the following to say on Cox to the Club website: "I have tried to sign George before but previously he wasn't allowed out as he was close to the Brighton first team. "The opportunity has arisen now and he is an exciting player. He has a lot of talent and ability and he needs to be out playing senior football. "He can play anywhere down the left-hand side, he will give us competition, balance and he is an attack-minded player who will get us up the pitch. He does a lot of good work in the final third and he is a threat."